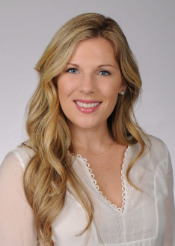 Natalie Fitton MD attended the University of Mississippi for her undergraduate studies and then moved on to the University of Tennessee in Memphis for medical school and residency. She then completed a Breast Imaging fellowship at the Medical University of South Carolina in Charleston. Dr. Fitton’s clinical expertise is in Women’s Imaging. She interprets a variety of studies including mammography, breast ultrasound, breast MRI and performs breast interventional procedures including stereotactic breast biopsies and image-guided breast biopsies (ultrasound and MRI). Dr. Fitton’s other professional interests in radiology include economics, image quality and dose optimization, and patient safety. She also holds memberships in the American College of Radiology, Society of Breast Imaging, and the Radiological Society of North America.